Information we’ve just confirmed today, stats that the University of Lagos (UNILAG) Postgraduate School (PG) has officially admit more than five thousand (5000) students for the 2014/2015 academic session. 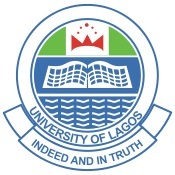 According to our correspondent, Glory Joe who relayed this piece of information to us, the University Of Lagos Postgraduate School has admitted a total of five thousand, three hundred and ninety (5,390) students for the 2014/2015 academic session. This admission number was made public by the VC at the orientation ceremony of the school. Also present, was the Chief Executive Officer of Heritage Bank, Mr Ifie Sekibo, who spoke during the occasion, urging the PG students to embrace job creation, rather than be job seekers, as a way out of unemployment which the Nigeria economy is facing. Mr Ifie Sekibo also went on, to give the students business tips to improve on their marketability. Wishing all newly admitted students of the Postgraduate School, a successful Stay at the school.